When considering a whole house fan there are several options. 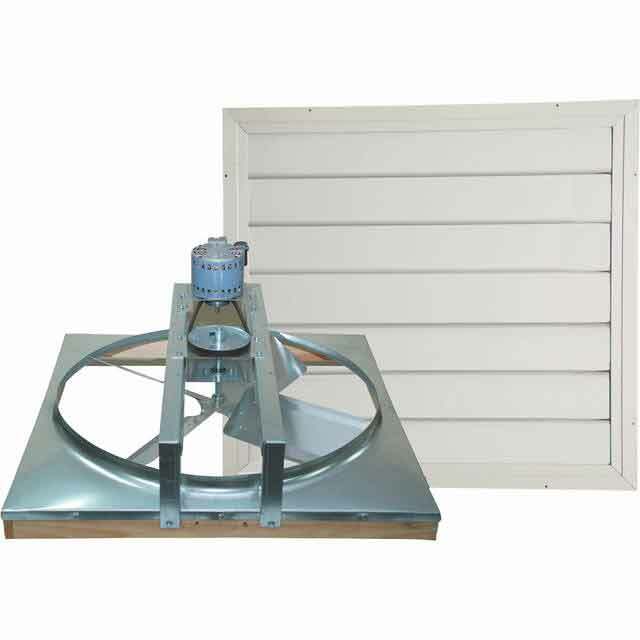 The option that has been around the longest is the traditional style of a whole house fan. The other is the advanced whole house fan that is much more up to date. Traditional whole house fans were created in the 1960s. They do exactly what they claim: move a lot of air but they have many negatives. Traditional whole house fans are very loud and sound much like a helicopter in your home. They also have a very inefficient motor and are cheaply made. 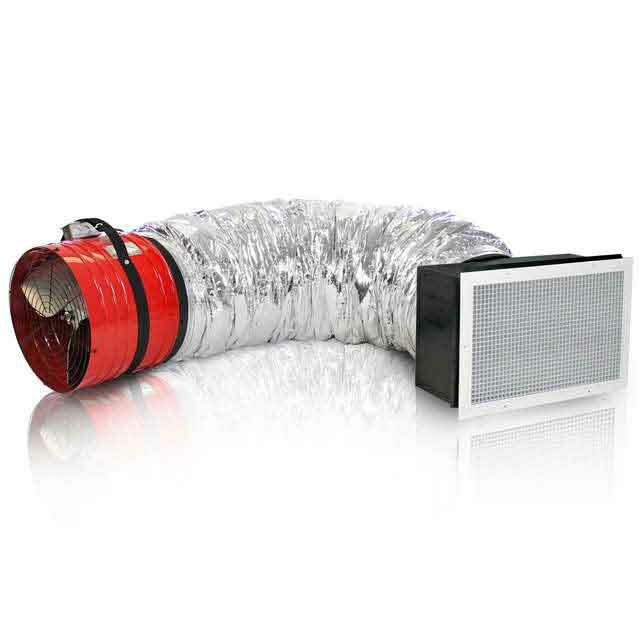 QuietCool is the patent holder for ducted whole house fans, otherwise known as advanced whole house fans. QuietCool whole house fans suspend the motorhead 3 to 6 feet away from the ceiling grille with an acoustically lined duct that dampens the sound level. Some companies out there claim they use blades made from “special materials” to make their whole house fans quiet. Sound travels in a straight line so with a QuietCool, you do not have the fan motor right above your head. There is a lot of air noise and motor noise that are present regardless of the material the blade is made from. QuietCool uses an aluminum, computer-balanced fan blade. QuietCool also includes a barometric pressurized damper system above the grille that seals at an R5 value that prevents minimal heat and air transfer back into the home. Traditional whole house fans do not have any R value so there will be a lot of heat transfer between the home and attic. The last objection to a traditional whole house fan is the look of the fan on the ceiling level. Traditional whole house fans are very large, ranging from 24 inches by 24 inches to 48 inches by 48 inches. Most include shutters that rattle very loudly and are very aesthetically unpleasing. QuietCool ceiling grilles are much smaller ranging from 14 inches by 14 inches to 14 inches by 36 inches and use attractive white egg-crate style aluminum. They are removable for easy cleaning and are very quiet. Because advanced whole house fans are so much better than traditional whole house fans, the state of California is giving builders huge credit to put advanced whole house fans in new homes. Traditional whole house fans aren’t allowed in new construction homes, only advanced whole house fans like QuietCool. When choosing a whole house fan, be sure to check all of your options from a traditional whole house fan mounted directly on the ceiling, or an advanced whole house fan, like QuietCool. Research should only facilitate your decision to buy an advanced whole house fan. Remember if it doesn’t say QuietCool on the box it’s just another fan.